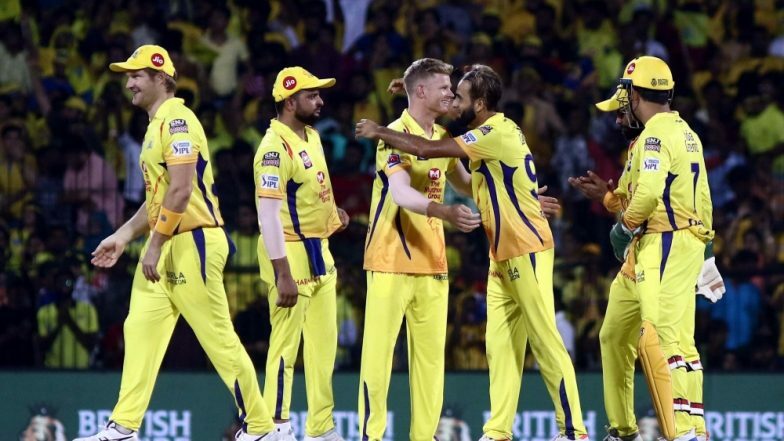 IPL 2019 Today's Cricket Match: Schedule, Start Time, Points Table, Live Streaming, Live Score of April 09 T20 Game and Highlights of Previous Matches! We are in the third week of the Indian Premier League 12 and so far the teams have entertained us enough to keep us hooked to the television sets. Four teams have played six games in the IPL 2019 so far and the squads are leaving no stone unturned to be in the top four of the points table. The teams placed in the top four ranking of the IPL 2019, will qualify for the playoffs. Now, before we bring you the details of the schedule, start time, live streaming and live score details of the match today, let’s have a quick glance at the points table. Kolkata Knight Riders continue to dominate the IPL 2019 points table as they have won four games out of five and have a good net run rate. The team has 8 points in their kitty. CSK stands on number two and Kings XI Punjab is on number three of the IPL 2019 points table. Sunrisers Hyderabad stands on number four. IPL 2019 Points Table Updated: KKR Topple CSK on Top of Indian Premier League 12 Team Standings Following Win Over RR. The Kings XI Punjab went on to win their seventh game at the Punjab Cricket Association in Mohali as KL Rahul and Mayank Agarwal led the team to victory. KL Rahul remained unbeaten on the score of 71 runs. Chennai Super Kings and Kolkata Knight Riders, face-off in the IPL 2019 match 23. It will be played at CSK’s home venue- MA Chidambaram Stadium in Chennai. The CSK vs KKR is scheduled to begin at 08:00 p.m (IST). Fans can watch the IPL match two both on TV and via online streaming. Star Sports holds the telecast rights of IPL 2019 and will broadcast the match live across its network. The live streaming online of IPL 2019 will be available on Hotstar app and website. Fans can click here, for CSK vs KKR live score updates.